The success of Black Steel has as its foundation the many loyal and satisfied customers who come from throughout the communities that make up the Greater Auckland region. We wish to repay that loyalty by supporting community causes whenever we can. Many years ago, ARHT saved the life of the brother of Black Steel’s managing director, Tony Black. 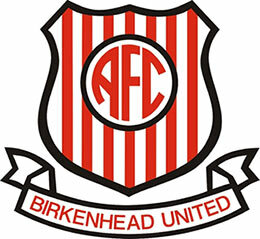 Black Steel have been active supporters of the Trust ever since. The ARHT is also known as, the Auckland Westpac Rescue Helicopter. Staffed full-time by a highly experienced flight crew consisting of pilots, paramedics and crewmen, and operating 24 hours a day, 7 days a week, 365 days a year, it provides professional, efficient, emergency air ambulance, search and rescue services. As a big believer in children playing team sports, Tony Black ensures that Black Steel Ltd sponsors junior football at Birkenhead United AFC. Black Steel has also sponsored the senior section in both the canopy over the outdoor viewing area and the railing that goes around the main pitch. 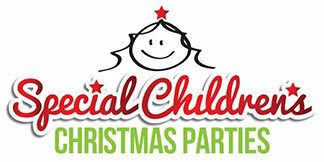 We are proud to be able to support The Auckland Special Children’s Christmas Party. Held throughout New Zealand, The Special Children’s Christmas Parties are the biggest events of their kind in New Zealand for special needs children and their families. 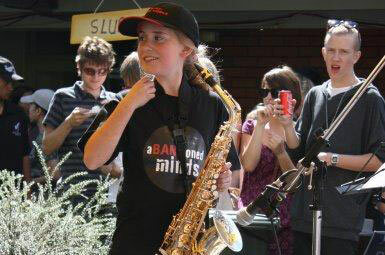 The organising team work closely with hundreds of charities, schools, community s and government organisations throughout New Zealand to select children to enjoy a day’s treat each year. The children invited are children who suffer from one of the following: life threatening illness, physical and intellectual impairment, domestic violence, or living in underprivileged circumstances. You never know where you might find Black Steel. We often spot people out and about wearing Black Steel clothing. We give away T-shirts, hats & beanies from time to time. We thought we’d put up a few photos of people in our gear! 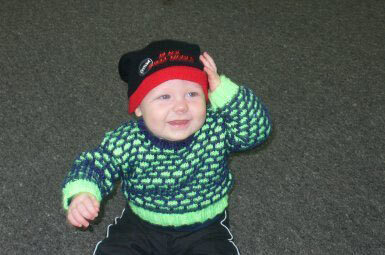 This is the Operations Manager’s son at nine months old. We start our training young around here. 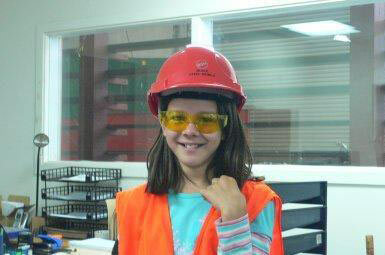 Here is Tony’s daughter in full Personal Protective Equipment – proving that safety is the number one priority here at Black Steel Ltd! 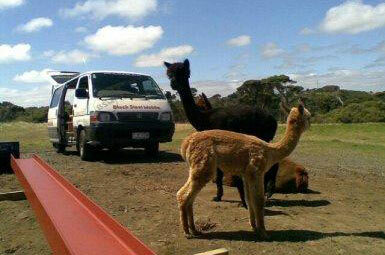 Just to prove that we’ll fabricate steel pretty much anywhere; here we are amongst the alpacas on a farm at the South Head of the Kaipara Harbour.